Picking the winner of a horse race at your favorite online racebook can be difficult. At EZ Horse Betting we are always looking for a simpler way to watch and wager on horse racing online. Something you might want to consider is using a horse betting tip service. These services can be affordable while producing longshot winners at the race track. 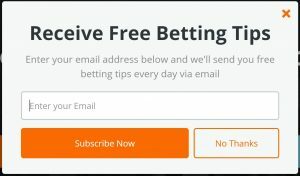 One such service is found at BettingGods. Like any other type of betting system, a tip service has its pros and cons. We’ve put together a little guide to help you determine if a horse betting subscription is the right thing for you. 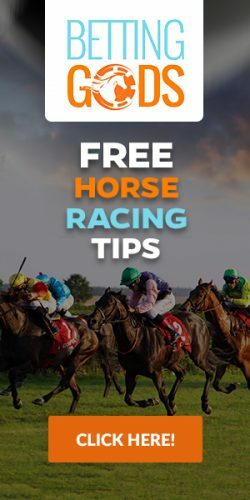 What is a Horse Betting Tip Service? Giving out winning selections has always been a part of the horse racing culture. From the track handicappers who sell tip sheets at racing events to the Hot Horse Harry’s that can be found hanging around every race track, tips are everywhere. Some of them cost lots of money, and some are given away for almost nothing. The tip service is a bit different. The age of online horse betting has created a large number of websites where you can pay a professional handicapper for their race selections. Some of these online handicappers charge a monthly subscription and some of them charge by the tip. The prices can range from $10 to hundreds depending on the perceived value of the tip you receive. The individuals providing the racing tips are usually race track veterans who have made their living picking winners. But sometimes you can get a shyster or two who actually knows little about racing. This is why we recommend you only use the horse betting tip service we recommend. The first thing you will need to do is decide which type of plan is right for you. You’ll either be purchasing single tips from time to time or you will be purchasing an ongoing subscription. Which one you choose depends on how often you make bets at your online racebook. If you only bet on special racing days, go for the single tips. If you make bets each week, a subscription might be the best. You’ll also need to have an account with an online racebook, of course, and we recommend that you choose one of our affiliate partners. Next, you will sign up with the tip service and choose your plan. After you have paid, your winning selections will be delivered by email. The final step is to go to your online racebook and make bets using the information that you have received. Some tip services will give you more than winners. They will also provide you with betting suggestions that help you maximize the value of your tips. You’ll be told how to use the selections in exotic bets like trifectas, exactas, and superfectas. That’s all there is to it. If you have chosen a good horse race betting tip service, you will be cashing a lot of tickets. If your chosen handicapper isn’t performing up to par, you can always find a new tipster. Those who offer horse race betting tips for a living must perform at a high level to make money. The only way they can keep their subscribers is to produce winning selections on a regular basis. But what constitutes regular? Well, we know the favorite in a horse race wins 33% of the time on average. So, if you just picked favorites you could easily achieve that win rate. This means that you are looking for a tip service that consistently wins with more than 33% of its selections. Otherwise, you could probably do just as well picking horses on your own. A good number would be more than 50%. If you are paying for a subscription that promises to deliver winning betting selections, you should be able to rightfully expect winning half of those selections. Now, the tipster is human and may go through periods where they lose four or five in a row. But, on average, they need to be winning at least half of the time. Some tip services compensate for a low win percentage by only offering selections at long odds. You will have to decide if cashing fewer tickets at longer odds is the right approach for you. No handicapping required. Just make bets at an online racebook. Get monthly or weekly tips depending on your betting level. Tips often serve up many longshot winners at big prices. Some services are scams. Use care in choosing your tipster. If a horse scratches at race time, your tip is worthless.